DROC is a youth leadership program empowering high school students in West Contra Costa County California to actively change their community by reducing youth access to alcohol and other drugs. Your article last week on the WCCUSD school lunch situation was amazing. I shared it on facebook, I shared it on twitter; in short you really brought to life the situations we are facing at Gompers and De Anza High School. 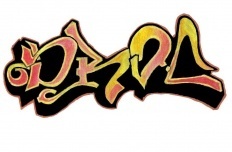 The organization I work with, DROC, is a youth leadership program empowering high school students in West Contra Costa County to actively change their community by reducing youth access to alcohol and other drugs. That article, 'What The District Feeds Our Students', inspired me to offer you an exclusive scoop on our upcoming student projects. Each year DROC members select one issue in their community relating to alcohol and other drugs they want to change. This year our members selected to change a city ordinance increasing the distance between alcohol vendors and schools/parks/churches from 400 ft to 1000 ft. Our founder and executive director, Stephanie Hochman, in addition to a group of DROC members would love the opportunity to discuss the presentation given to Richmond City Council, the different student projects involved in the ordinance change effort, and the importance of their work. We would like to arrange this before city council announces their final decision next month, if that works for you. Email me and we can sort out the details. Here is a link to the DROC Press Kit.